You know, there are a lot of reasons to love Scorchios. They breathe fire, fly, are extremely loyal, and above all else look both edgy and cuddly depending on what your tastes are! So with Scorchio Day being celebrated recently, I thought it would be a good opportunity to look at my "fave five" famous Scorchios who reside right here, in Neopia with some bonuses sprinkled in along the way! By far my favorite Scorchio. I have to admit, his record my not be squeaky clean, but you have to give it up for Scordrax. In his brief stint on the main stage of Neopia he made it count with untold devastation and destruction. Originally summoned by Prince Jazan, back when Jazan wasn't helping roguish thieves, Scordrax managed to obliterate large sections of Sakhmet! With two heads, fire breath as hot as molten lava, and the size of a true movie monster, Scordrax terrified warriors in the battledome, adventurers, and anyone else involved in the Lost Desert events. For all these reasons this mammoth Scorchio gets the number one slot. Honorable Mention: The Qasalan Mummy! Did you think we could let a mention of the Lost Desert Plot and Scordrax pass without talking about the Qasalan Mummy? This character was all over the place during Jazan's invasion and remains to this day as a test for any battledomer as the penultimate challenge in the first Defender of Neopia series. This Scorchio may be undead, but he remains a formidable foe for all to face. Whew, we go from a terrifying monster to a mad genius who loves to experiment on any Neopian brave enough to venture into his laboratory. Neopets of all ages travel to the deep labyrinth that the Lab Ray Scientist calls home for various reasons. Some dream of having strength beyond imagination, hoping the mysterious ray will give them the power beyond that of normal training. 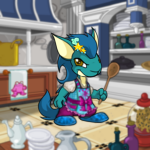 Some are looking for that special look, hoping for a transformation into that rare color that would otherwise cost them millions of untold neopoints. Some are hopeful to see if the rumors are true and that the mad scientist is more then just brains, and want to challenge his brawn in the battledome. Whatever the reason, we know the Lab Ray Scientist is sought by many, making him a perfect choice for this list. Honorable Mention: Haunted Weaponry Shopkeeper! Another creepy Scorchio, this mysterious shopkeeper dwells within the confines of the Deserted Fairgrounds of the Haunted Woods. Sporting an array of "interesting" weapons, Neopia's most hardened warriors frequently make the trip to see him, hopeful to gain some of the more powerful weapons out there. In particular, due to his close relationships with some of the witches in the Haunted Woods, he sometimes comes across a Glowing Cauldron, one of the more interesting and devastating weapons that can be unleashed on an unsuspecting foe within the battledome. Some people think Glubgar is just crazy; some people think he is the foremost daredevil of Neopia. I mean seriously, this guy spends his days navigating the deepest recesses of the volcanoes of Tyrannia, braving lava, flaming rocks, and spaces that sometimes only leave him inches to escape. Why does he do it? That question has been asked by many a Neopian. Some think it is the treasure, as rumors of precious jewels inside the molten mountains are well known. Some think it is just a need to see how far he can push his own physical limits, trying to see just how far he can go... Other just think is just not smart enough to realize what he is doing. No matter what you think about Glubgar, it is undeniable that Scorchios everywhere know who they have to beat if they want to prove themselves in the face of certain danger. Honorable Mention: Magnus the Torch! Every year Neopia is overcome with hysteria for the Altador Cup. Ever since the return of this prestigious tournament, Neopians far and wide have come to support their land and their favorite players, hoping for their team to bring home all important championship. What fans fail to see though is who keeps order in all that madness. This is where the referee comes in and this Scorchio is the one who keeps all the players on their toes throughout the tournament. With all the games going on, this referee defies the odds and manages to make sure every single game is called right down the middle so we can have a worthy champion at the end of every year's tournament. Who will win this year's cup? No one knows, but we do know the steadfast figure of the Altador Cup Referee will be there the entire time. Speaking of keeping order, we couldn't let this opportunity pass without mentioning one Neopian whose job no one is envious of. With literally thousands upon thousands of items passing though the halls of the auction house every day, the auctioneer has the task of making sure everyone gets the items they pay and that the cold hard neopoints are delivered to the sellers. 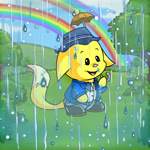 Without this helpful Scorchio, the citizens of Neopia would find themselves short one place where they know they can get fair value for their items. With a heart of gold and a devil may care attitude, Samuel is the perfect choice to rescue any Petpet in need. Braving the dangers of Gargrall's ruby mines, Samuel goes in time after time leading enslaved petpets. This Scorchio has always stood out as a pillar of good will and heroics giving all Scorchios out there a reason to be proud and someone who they can look up to. Tireless and brave, Shumi is never given a rest while working on the Cyodrake's Gaze. 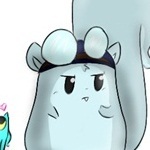 Shumi rarely complains and has gone on many an adventure while working under Captain Tuan. Shumi may look unassuming and a little bit aloof, but he is a prime example of how hardworking and loyal Scorchios can be. He has proven his mettle time and time again on the high seas of Neopia.